Winner of the 2017 Political Studies Association book prize, Political Turbulence examines the influences of social media on political mobilization and collective action. As people spend increasing proportions of their daily lives using social media, such as Twitter and Facebook, they are being invited to support myriad political causes by sharing, liking, endorsing, or downloading. Chain reactions caused by these tiny acts of participation form a growing part of collective action today, from neighborhood campaigns to global political movements. Political Turbulence reveals that, in fact, most attempts at collective action online do not succeed, but some give rise to huge mobilizations—even revolutions. Drawing on large-scale data generated from the Internet and real-world events, this book shows how mobilizations that succeed are unpredictable, unstable, and often unsustainable. To better understand this unruly new force in the political world, the authors use experiments that test how social media influence citizens deciding whether or not to participate. They show how different personality types react to social influences and identify which types of people are willing to participate at an early stage in a mobilization when there are few supporters or signals of viability. 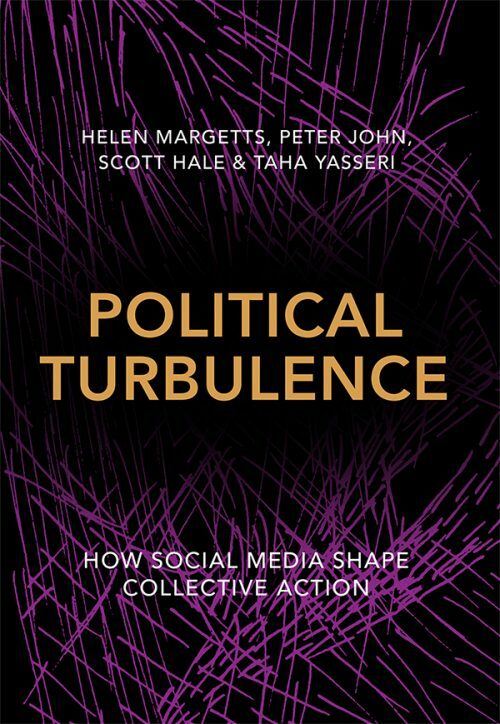 The authors argue that pluralism is the model of democracy that is emerging in the social media age—not the ordered, organized vision of early pluralists, but a chaotic, turbulent form of politics.This book demonstrates how data science and experimentation with social data can provide a methodological toolkit for understanding, shaping, and perhaps even predicting the outcomes of this democratic turbulence. Political Turbulence is published by Princeton University Press. 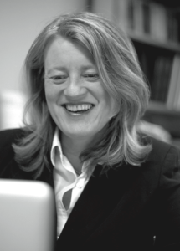 Helen Margetts is Professor of Society and the Internet and Director of the Oxford Internet Institute at the University of Oxford, and Fellow of the Alan Turing Institute. 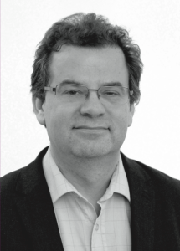 Peter John is Professor of Political Science and Public Policy at University College London. 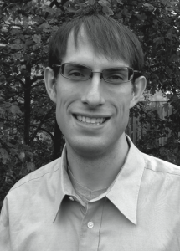 Scott Hale is Senior Data Scientist and Research Fellow at the Oxford Internet Institute, University of Oxford, and Fellow at the Alan Turing Institute. 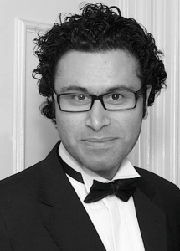 Taha Yasseri is Senior Research Fellow in Computational Social Science at the Oxford Internet Institute, University of Oxford, and Fellow at the Alan Turing Institute. Political turbulence is a methodologically innovative book with real world resonance and reach. It brings computational social science to bear on pressing political questions about the impact of social media on patterns of democratic participation. 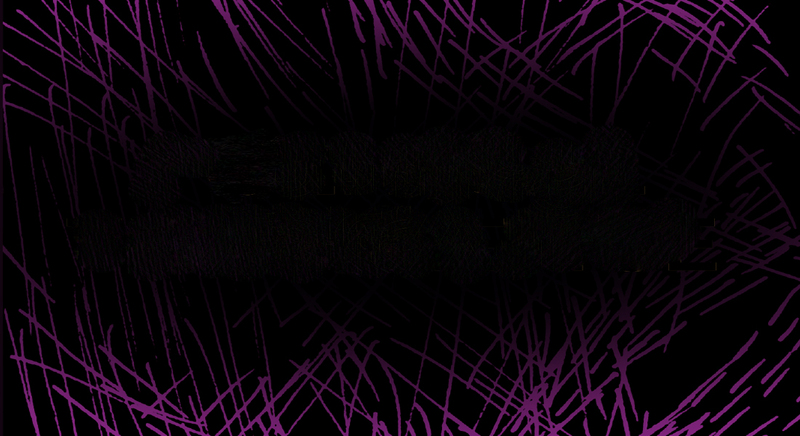 It does so with rigour, originality and measured judgement. It provides powerful new insights about democracy in our turbulent times. This engagingly written and elegantly designed study tests to their limits half a century’s worth of big ideas about collective action. The authors convincingly show why information signals, visibility, and the distribution of thresholds are important for explaining the pace and scale of political engagement. Essential reading if you want to understand how it all kicks off online. This compelling book shows how, when, and why individuals decide to join online collective actions, and what makes those actions scale up. Using a fascinating array of cases taken from the news headlines of our time, the authors draw an important set of conclusions about democracy in turbulent times.Political Turbulence provides invaluable insights into political participation, individual choice, and democracy in an age of changing societies and politics. Political Turbulence is an exciting book. The authors bring a psychological perspective to the analysis of experimental results and big data to tell an insightful and fresh story about social media and collective action dynamics at the individual level. This is great, adventurous social science.